We offer Thai Massage and Thai yoga certifications and Thai Yoga and Thai massage continuing education (CEUs) classes/credits, often blended and called Thai yoga massage in Florida and Illinois. 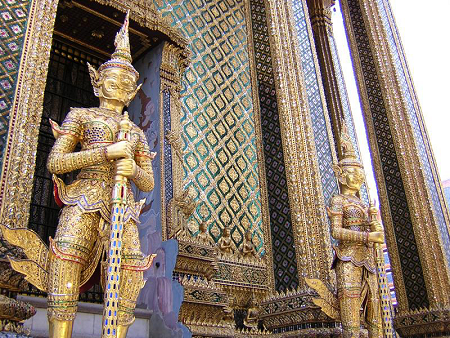 This combination of skills has become Thai Bodywork at the Orlando School of Thai Massage. Our education is geared toward teaching students the proper skills for a long career in massage as well as helping seasoned practitioners by offering a new and biomechanically correct way to do their work. Further, not only does the receiver get the benefit, so does the giver. Often, students experience increased ROM (range of motion) in their feet, ankles, knees, hips, and back (though sometimes accompanying soreness, just a little from the 20 hours of learning) after a weekend course, but this gets better over time. Let me state that these are weekend intensives. This very same material is often presented in Thailand and at other schools here in the USA in a longer format; what you will learn in one weekend is often a week long class of 5 hrs per day or longer. Another way that we serve our students, is that we teach all four treatment attitudes (supine, side-lying, prone and seated) in one weekend. We have condensed our program through several efficient practice and learning techniques, and with excellent teaching aides (and instruction!! :-} ), so be prepared and come with an open mind. Yes, anyone can learn this work. In Thailand, this practice is commonly associated with the Buddhist temples or Wats. There, people in the care of the temple (i.e. orphans, disabled, elderly) provide Nuat Boran to visitors to help the temples generate revenues for the common care of the temple and those that live within their walls. What one wears in receiving and learning Thai Bodywork are clothes that allow full range of motion (I wear Prana clothing, which I recommend). That's all you need. We provide everything else you need or may need (mats, cushions, DVDs) in our learning environment, except maybe a pen to take notes in your manual (we provide a manual for each course). Where is Orlando Thai Massage? We are located in Sunny and Warm, Orlando, Florida; more specifically in Winter Park/Maitland, a quiet suburb. I also provide a coupon for hotel at the local Hyatt Place at the airport or in Lake Mary. *** I love to travel and experience new cultures and destinations!! If you have a interest of 6-10 interested students, I can come to YOU anywhere in the world. Our classes are modular and designed to be taught to busy professionals on a weekend basis or any 20 hour period over 2-3 days, and we usually offer at least one class per month, sometimes two or three. If a class is small enough and there is enough interest from out of town students, we can teach the course over 2 days, adding in the 3 hours from Friday over Saturday and Sunday. Enrich your own experience with the work by expanding your mind and decreasing the dependence on your hands [to do the work - I will demonstrate and explain this later]. 24 hours plus ONE HIV / AIDS course of 1-2hrs. leaving 6 hours of CEUs optional. Each of our weekend courses are at least 20 hours of CEU (17 NCBTMB hours), so any of our courses will help a Florida licensed massage therapist fulfill the "Live" course requirement for licensure. One (1) hour of continuing education for each month or partial month that has elapsed since the issuance of the license for which renewal is sought, up to a maximum of 24 hours for the renewal period. At least twelve (12) of the hours must be relevant to and focus on massage therapy techniques, which may include the history of massage, human anatomy & physiology, kinesiology and/or pathology. These hours must be completed via live classroom instruction (including hands-on instruction or demonstration). 6 of the live hours may be completed via performance of Pro Bono services pursuant to 64B7-28.0095, F.A.C. In addition to the hours required above, a course in HIV/AIDS is also required for renewal. All courses must be obtained through a Board of Massage Therapy Approved Provider. Anyone is open to learning Thai Bodywork, although class size is limited to 10 people. Anatomy and Palpation/physiology for Thai Bodyworkers. Courses usually fill a week prior, so deposits and registrations are highly recommended to reserve your place. Your local laws govern how you practice commercially (if at all), as students come from all over the world to learn Thai massage here. 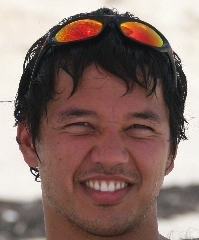 Rob Murray was awarded Certified Thai Bodywork Instructor (TBI) status by Thai Bodywork School of Thai Massage in 2007. 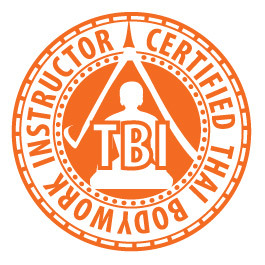 The TBI designation is earned through a rigorous, multi-year training process that is awarded only to individuals who have earned Certified Thai Bodywork Practitioner (TBP) status, and proven their excellence as Thai massage therapists as well as in the classroom. We teach our courses in several different approaches to facilitate learning so much material. First, we teach proper body mechanics and application of efficient forces to both provide the proper intent. We teach why so you have an understanding that then translates to each and every movement. Second, we teach with a method we call "the flow" that helps students learn the sequences of movement and asanas so that the sessions have a choreography or sense of movement that makes logical and logistical sense. The Flow is similar to dancing. Lastly, we teach you proper, efficient, and effective techniques to effect both you and your client. My personal specialty is to teach the coordinated movements that make the Thai treatment mutually beneficial. Students may study at their own pace, and only need commit on a course by course basis as their schedule and finances permit. A 50% deposit secures the student's place in class - the remainder is due when the student attends. There is no need to make large up front payments. We have one of the most respected Thai massage programs anywhere. We have been teaching since 2001 and have taught over 1,000 practitioners. Our students consistently give us the highest ratings and we get strong word of mouth referral. We are happy to provide references. We currently have over 350 hours of Thai massage-specific coursework available. We attract beginners as well as advanced practitioners from other programs. Our courses are supported by Chuck Duff's highly rated Thai Bodywork DVD Series, providing the student a detailed study aid before and after class. We place strong emphasis on developing excellent skills and body mechanics early in the student's education. Our students get high marks as practitioners. The overall program has a strong hands-on focus with high teacher to student ratios. We teach Thai massage as a long-term, sustainable practice that actually is beneficial for the therapist. We get many students who have hurt themselves doing conventional massage, and are looking to extend their career. HandsFree Thai and Clinical Thai Bodywork are modalities that are only taught at Thai Bodywork and by TBW Certified Instructors (TBI). Our program is unparalleled in teaching students how to work therapeutically. Thai bodywork was the first in the industry to have a strong clinical component to its program (Clinical Thai Bodywork courses alone currently comprise over 140 hours in our program).